Home > Nutrition > What Type of Additives Are in Fast Food? Fast Food is something that we all like to eat because it tastes so good. Surveys have come up with the statistic that 45% of us believe we couldn’t give up eating our fast food favourites because they taste too good, and scientists believe that this is partly down to the high proportion of sugar and fat that are in most of the fast foods that we love. We all know that eating fast food regularly doesn’t make sense from a nutrition point of view, but is there really any more to that takeaway than a little too much fat, sugar and salt? Food additives are substances which are added intentionally to food to perform certain functions – often to enhance its flavour, colour, sweeten or to preserve it. Additives don’t have to be prefixed with the letter E, in fact we have been adding preservatives and other additives to our food for centuries. We add yeast to our baking, season our meals with salt, add sugar, and use baking powder in everyday recipes. Some of the more commonly used additives in processed foods are derived from natural sources too. For example, an additive called Saltpetre was used in the Middle Ages as a preservative in meat, and now we use nitrite, its active ingredient. The trouble is, many additives are manufactured from chemicals and not as innocent sounding as a pinch of salt or yeast in a loaf. Most of the food that you buy from a fast food restaurant will be processed, and during this processing, sometimes it can lose its flavour. According to reports, chicken nuggets from one of the major burger chains actually contain beef extract as an additive, while the French fries contain animal products too. Even the burger buns can have artificial additives. Even the innocent looking strawberry milkshakes, which would take a handful of ingredients to whizz up yourself at home in a blender, contain some revolting sounding ingredients. Instead of fresh fruit, a little dairy and some vanilla, a fast food restaurant bought milk shake could contain milk fat, high fructose corn syrup, guar gum, monoglycerides and diglycerides, cellulose gum, sodium phosphate, carrageenan, E129 and ‘artificial strawberry flavour’. The ‘artificial strawberry flavour’ contains 29 different chemicals, including amyl acetate, alcohol and solvent. It’s not just burger bars and high street fast food restaurants that are at fault either. Chinese food has long been flavoured with an artificial flavour enhancer called monosodium glutamate, which can cause headaches and other symptoms in people sensitive to it. Scientists warned back in 2002 that MSG in large amounts could damage the retina but also concluded that you would have to eat a large amount for it to have such an effect. 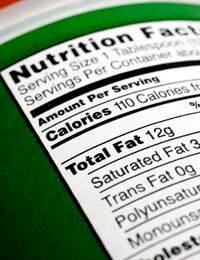 The additives in ready meals do at least have to be declared on the ingredients list, so you can see for yourself if you are about to ingest a plate full of chemicals or a relatively simple meal. Frozen food is often less of a culprit than chilled, as frozen meals don’t need the high levels of preservatives or flavour enhancers that longer lasting meals might do. How Do Additives In Fast Food Affect Health? A 2007 study looked at the way additives affect children aged three and eight years old, and came up with some frightening findings. The study - carried out by the Food Standards Agency - showed that there was a link between hyperactivity in children and some food colourings, as well as preservative used in processed foods, sweets and drinks. Having said that, the additives you’ll find in food sold in the UK will all have been rigorously tested, and not used in food until they have been proved to be safe to eat. Like most things in health and nutrition, moderation is probably the key.